At the beginning of the week I gave an overview of the three WonderFil threads we’re focusing on and giving some tips for their use. 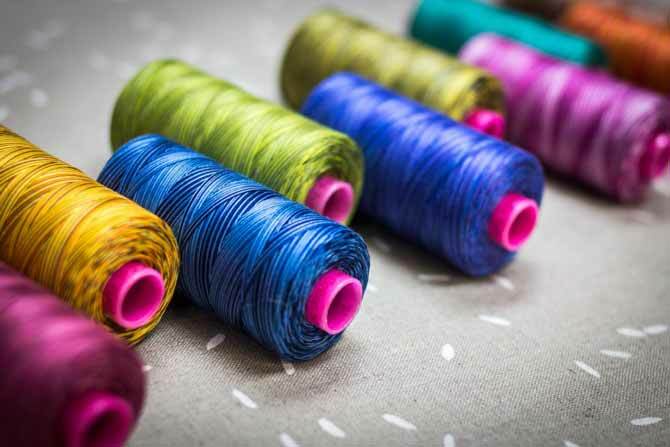 We’ve looked at Fabulux, Konfetti and Tutti threads. 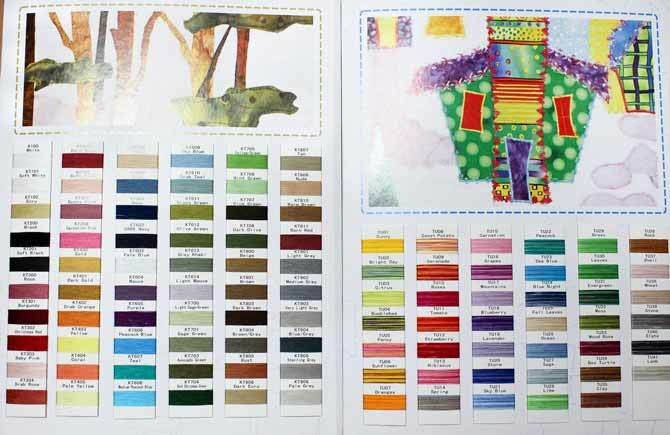 There are 60 colors in WonderFil’s Konfetti cotton thread line and 41 colors in the Tutti line. That’s 101 colors to choose from! Most of the variegated colors are shades of a single color or 2, or even 3 colors, very close on the color wheel. 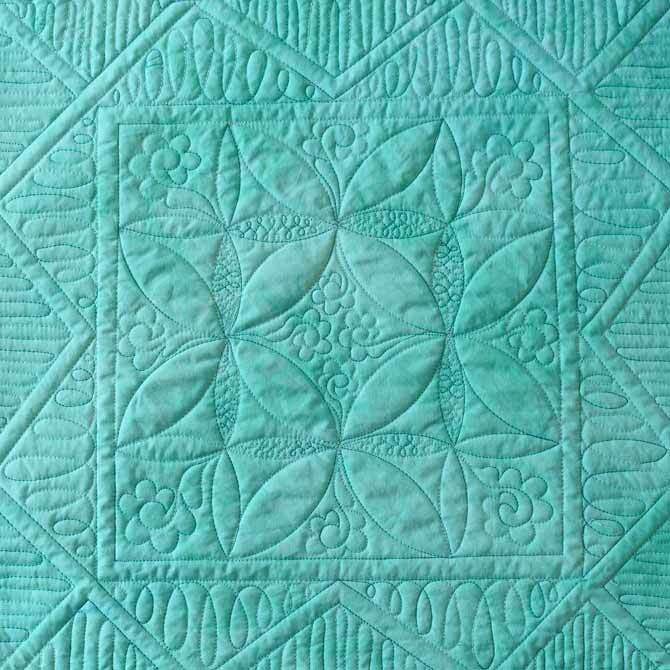 These shades create subtle movement in the variations of color and therefore produce more texture to your quilting. In the Fabulux thread shades of 2 – 3 colors enhance movement in quilting. Sometimes a solid colored thread is ideal and other times a multi colored thread is best. The lighter thread contrasts with the background fabric. The same light thread doesn’t show on this lighter background fabric. 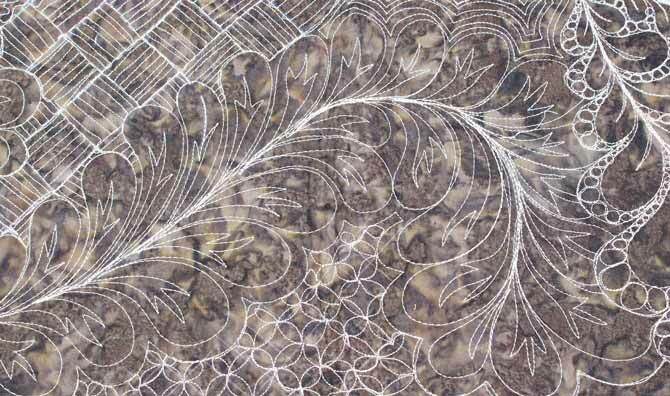 Lay your threads out on your quilt top to see what shows and what hides. 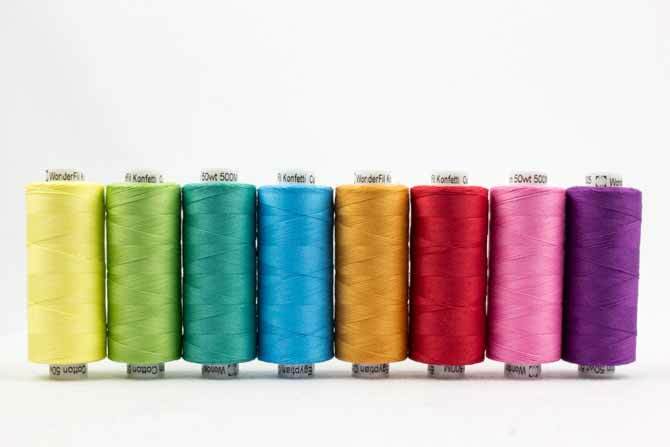 Choose thread color depending on your preference. 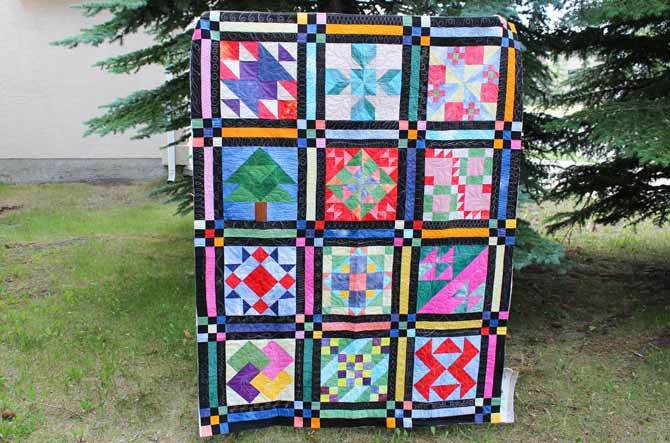 This is a sampler quilt that was quilted with Tutti Spring. The purple, green and yellow don’t show from a distance but when you look closely at the block below, the subtle color changes are visible. 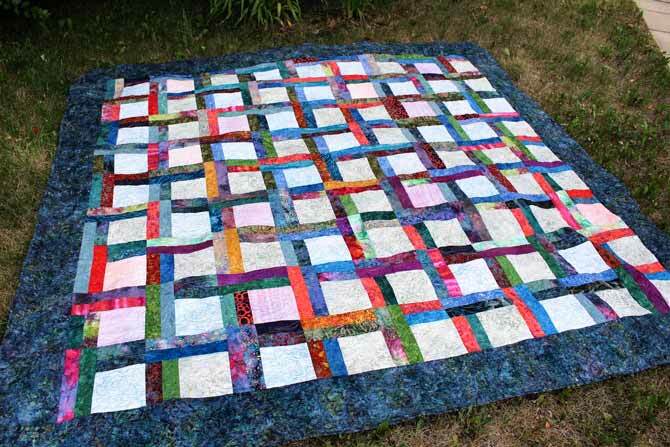 I love this large quilt. It sits on our bed almost year round. 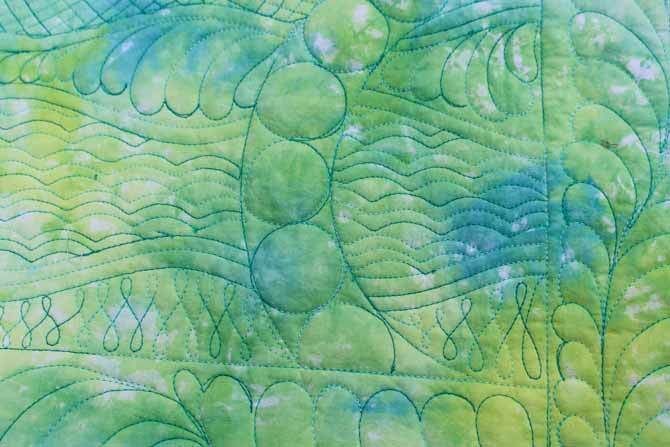 I chose a simple green Tutti thread to add texture to the blocks and almost disappear in the border. 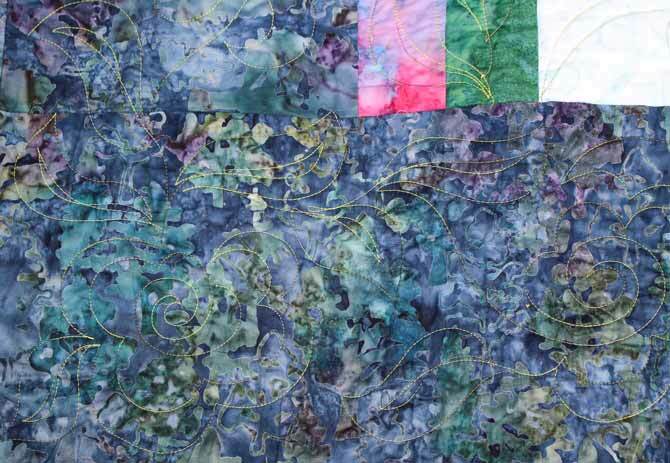 The variegation of the Tutti thread almost disappears in the busy border fabric. There was no need to try to make the thread show in this busy border, unless I used white. Thread colors that blend well give a nice texture to the quilt. 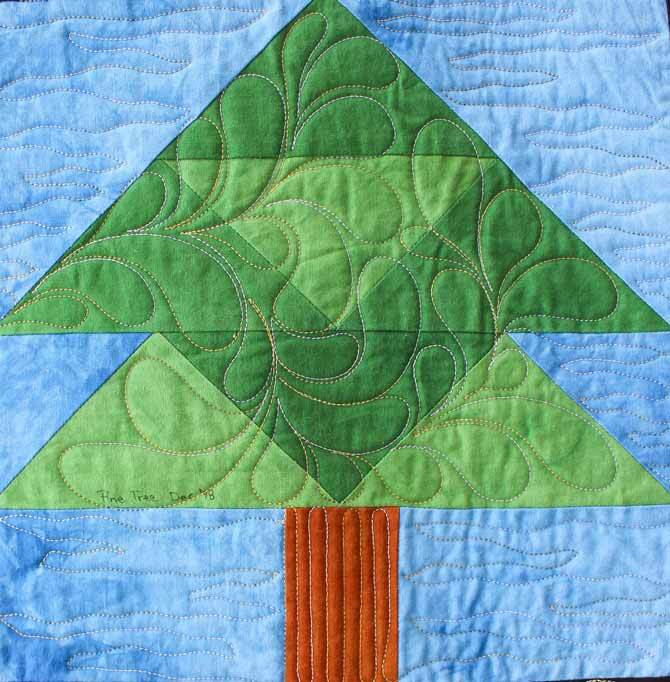 This small wholecloth quilt was quilted with WonderFil’s variegated Tutti thread. The peacock color is made up of about 4 shades of a lovely teal green. 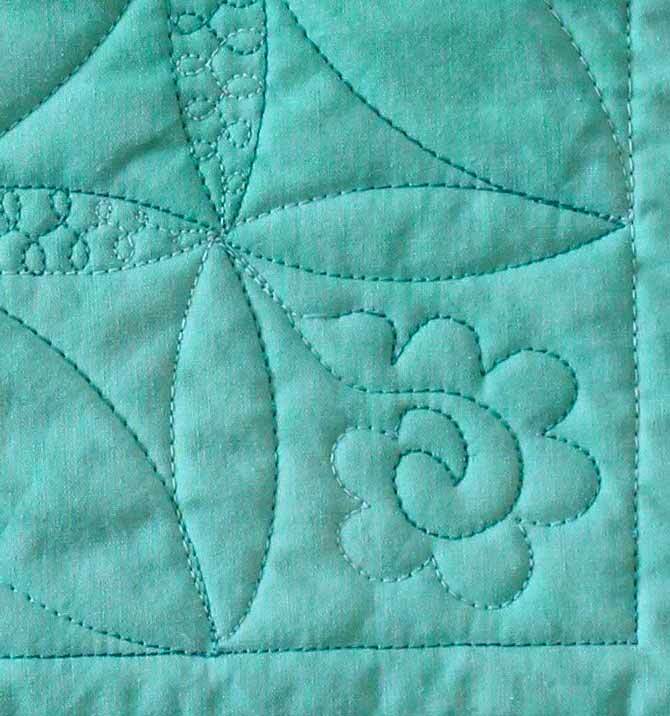 This is a close look at the mini whole cloth quilt above. It shows the gradual change from color to color. 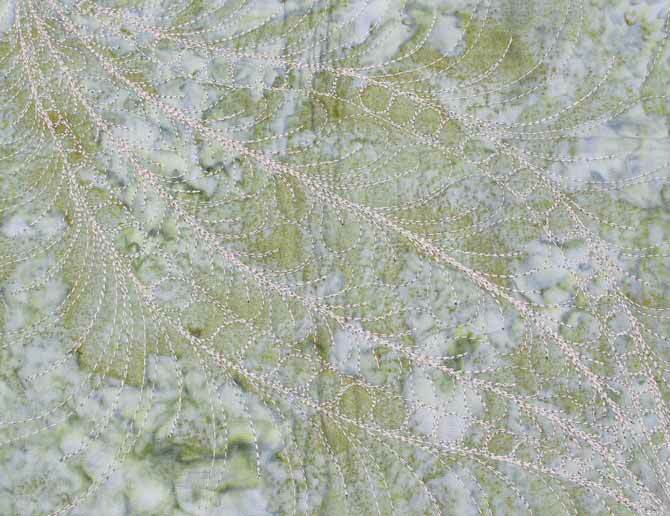 There’s texture upon texture in this hand dyed sample using WonderFil’s Tutti cotton thread #30 Leaves. This has been a fun week of writing blog posts. I’m almost over my cold and will spend some time dreaming and planning some new projects. Even though I have a longarm quilting machine and it allows me to quilt my bigger quilts with more ease, I still like sitting and pushing the fabric around under the needle of my sewing machine. This week I shared information about three lovely threads from WonderFil Specialty Threads. The Konfetti and Tutti threads are a lovely 50wt cotton that can be used for a variety of stitching purposes. 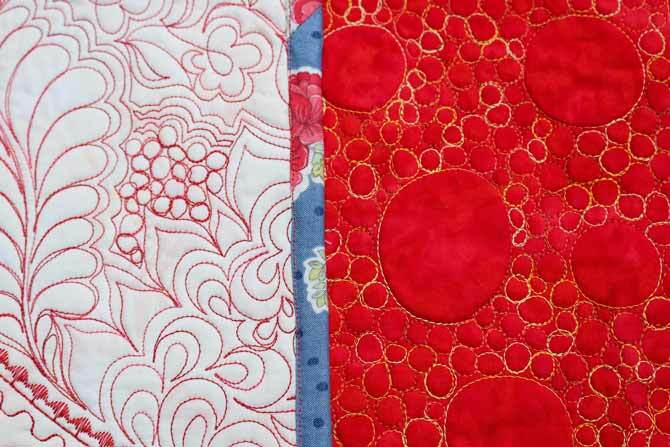 This week we focused on free motion quilting. 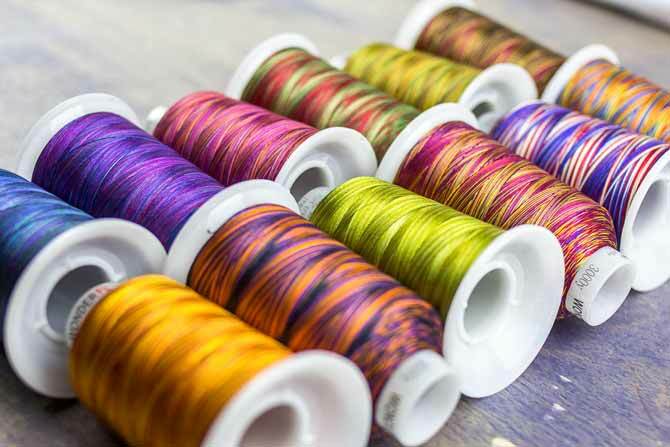 Fabulux is a newer thread in the WonderFil line of threads. I encourage you to try some in your next project or play time. I’m sure you will be pleased.